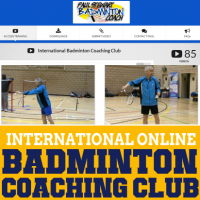 Hopefully everything will work smoothly for you – however, if there is something wrong, please take a moment to email us (forum@badminton-coach.co.uk) so that we can put it right ! Please do not SPAM this forum – anyone found posting non-badminton related messages or ADVERTISING without permission will be removed without notice and may be banned from using the forum in the future. To join, just click the Register button just BELOW on the right. Please note however that any strange email addresses (lots of random letters etc) with an obscure user name will be deleted. Tell everyone a bit about yourself, how often you play badminton, your standard etc.